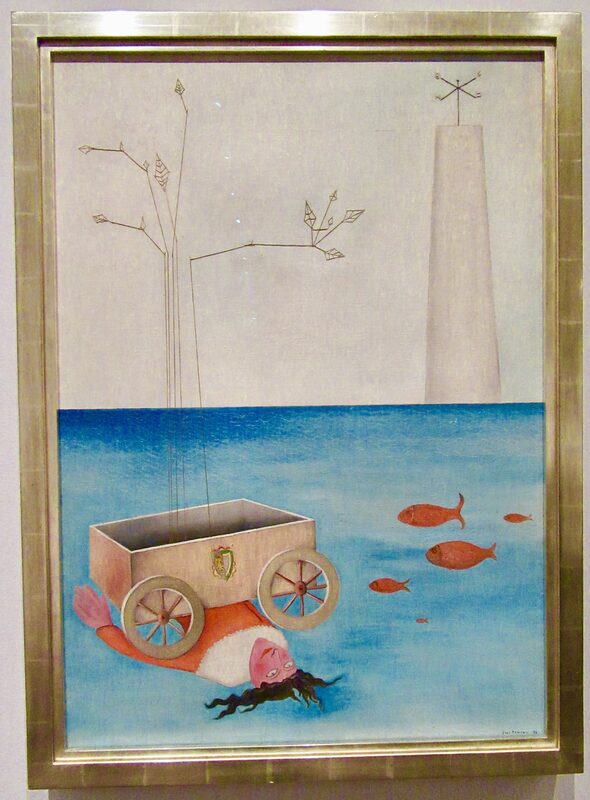 He Did What He Wanted (1927) was included in Yves Tanguy’s first solo show at the Galerie Surréaliste, Paris, in 1927. Before the exhibition opened, Tanguy and Surrealist leader André Breton invented titles for the paintings based on a 1922 book called Treaty of Metapsychics by Charles Richet, a Nobel Prize winner for medicine, which explored mysterious forms of cognition — a subject that resonated with the Surrealist interest in the unconscious and in dream states. The title of this work refers to a phenomenon Richet describes in which hypnotized subjects refuse to obey external commands. In early works, such as this one, Tanguy defined his signature style: a vaguely geological, otherworldly terrain strewn with symbols and enigmatic creatures. His biomorphic forms, rendered with a painterly treatment of surface that approaches abstraction, had a profound impact on postwar painters such as Matta and Arshile Gorky. 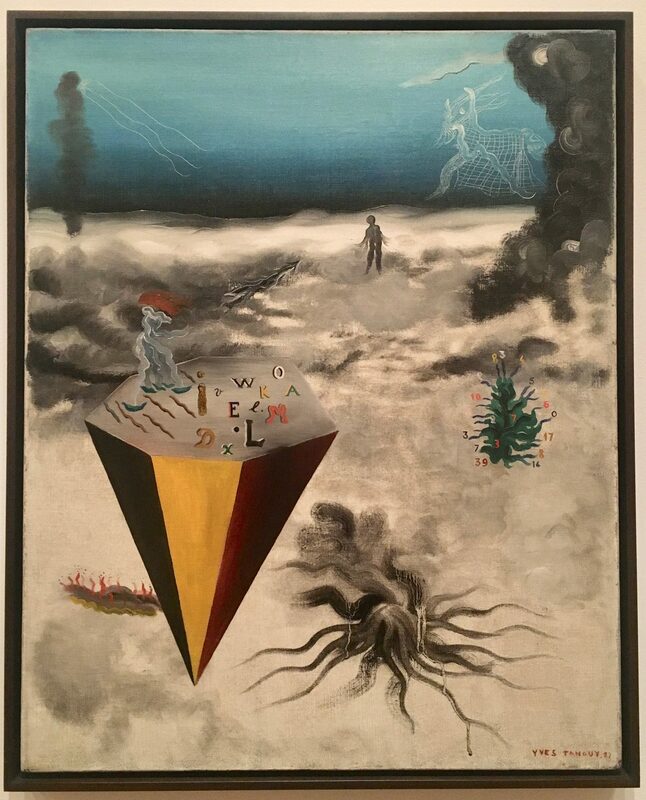 One of the most prominent women associated with Surrealism in the United States, Kay Sage (1898 – 1963) made this work after a five-month hiatus from painting following the sudden death of her husband Yves Tanguy. 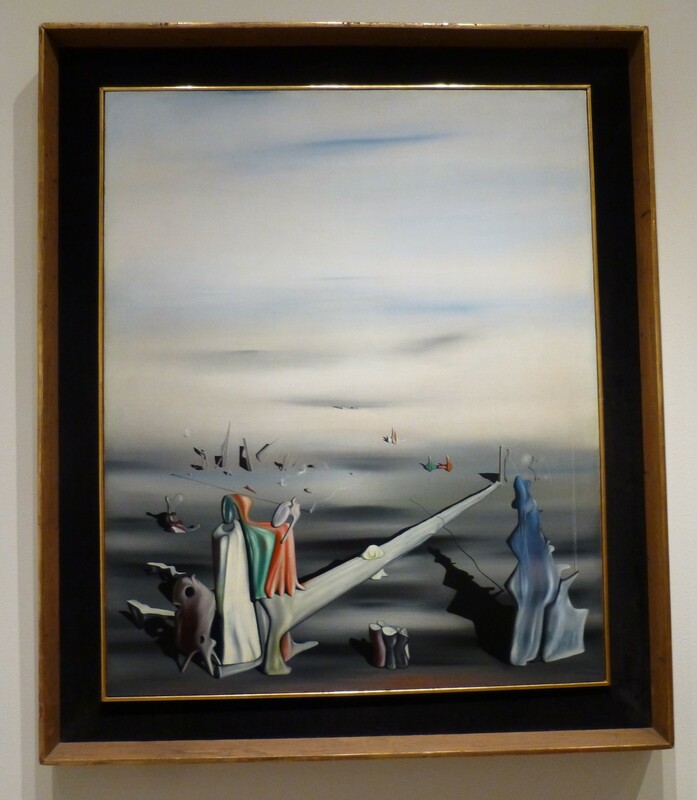 like many Surrealists, she utilized landscape imagery as a metaphor for the mind and psychological states of being. 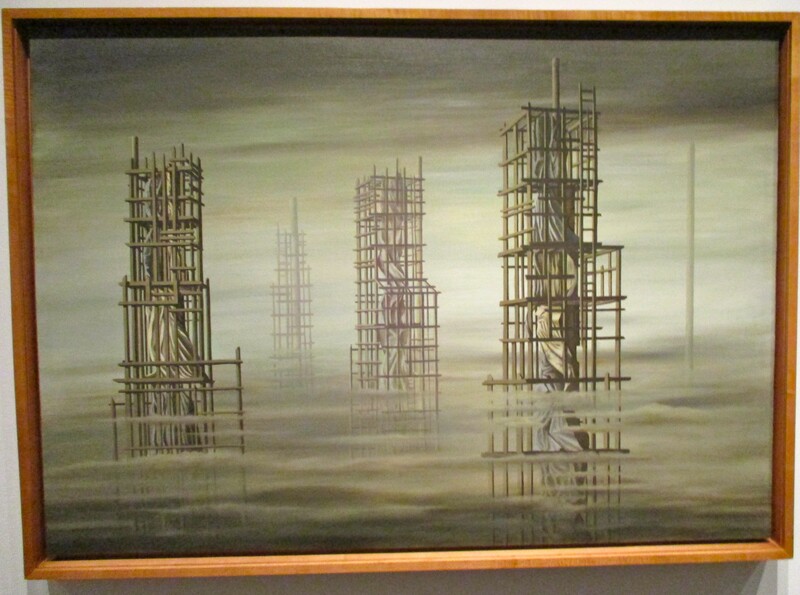 Rendered in somber gray tones, Tomorrow is Never (1955) combines motifs that appear often in in the later stages of her career, including architectural scaffolding, latticework structures, and draped figures, to evoke feelings of entrapment and dislocation. The painting is one of Sage’s last large works before her suicide in 1963. Tomorrow is Never his part of the permanent collection at the Metropolitan Museum of Art in NYC.